This is one of the more humble Detroit buildings currently listed as an historical district. It reminds us of the city’s long history of racial divisions and the successful struggle of some blacks to enter the middle class in the Jim Crow era. The African-American population of Detroit was small until World War I when the city’s employers could no long recruit from Europe. Large numbers of southerners moved to Detroit to take jobs in the defense factories. Once in Detroit, blacks found themselves greatly constrained in where they might live by the firmly-enforced Jim Crow rules of that era. Many blacks settled on the East Side along or near Hastings Street extending from East Jefferson to Warren. 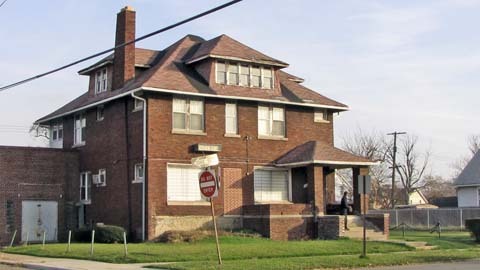 This is the most well-known and largest black settlement to emerge in Detroit during the First World War era. This was called Detroit’s Black Bottom, a name dating from the era of French settlement reflecting the fecundity of the soil and its low elevation. There were, however, other settlements. Perhaps the second largest was on the west side and was known as the Tireman neighborhood. At the time of World War I and shortly thereafter, blacks settled an area bordered roughly by Grand River, Buchanan, Epworth and Tireman. 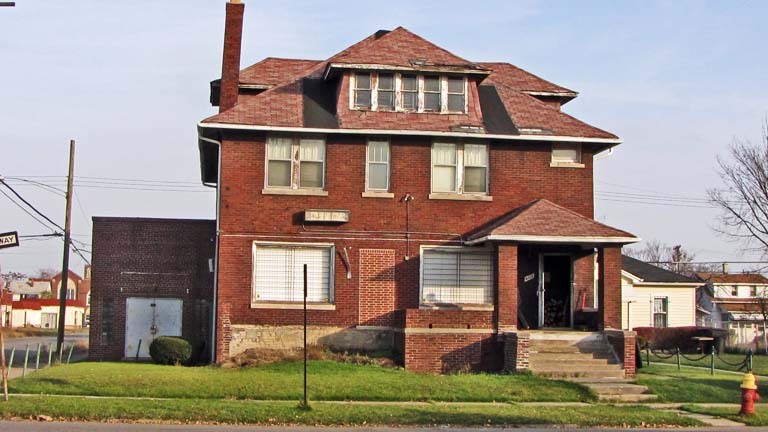 This area’s African American population grew after World War I and again in World War II when many blacks came to Detroit and found the Jim Crow residential rules of the World War I era were still in force. Two well-known institutions in or near this area are St. Cyprian’s Church—the first black Episcopalian Church in Detroit and the Blue Bird Café on Tireman where Miles Davis came to perfect his skills. Other Detroit neighborhoods where blacks were permitted to live during or shortly after World War I include Conant Gardens and an area not far from Wyoming and Eight Mile where a wall separating blacks and whites was erected about 1940. A black middle class population grew rapidly in Detroit during and just after World War I. The relatively high wages of the factory workers meant that they could support professionals, skilled craftsmen and a variety of musicians and entertainers. At this time, men’s clubs were popular. Black men wished to enjoy their amenities such clubs offered but knew that prestigious downtown clubs such as the Detroit Club and the Detroit Athletic Club would not admit African Americans. Twenty-one black men in the Tireman neighborhood decided, in 1922, to form a club that would serve their needs. This might be thought of as a black rival to the Detroit Athletic Club. They selected the name Nacirema, perhaps to imply that the city’s white leaders had inverted or contorted the American system of values. It is clear from reading about Detroit’s racial history that many blacks coming from the South expected to be granted the same constitutional rights and privileges as their white peers once they got to Motown. I infer that the Nacirema Club purchased this substantial residence for their use in the early or mid-1920s. They renovated the building in 1937 and again in 1942 and then built the addition you see on Milton in 1949. The facility included a ballroom, a dining room and a plush lobby. It was a highly desirable location for wedding receptions, parties and dances. Ossian Sweet, whose litigation eventually led the Supreme Court to declare, in 1948, that racial restrictive covenants were unenforceable, was a member as was long-time Common Council member, Clyde Cleveland. Cornelius Henderson who designed the structural steel for the Ambassador Bridge was another member. Late in the Civil Rights Era—1968—the Nacirema Club decided to change its rules and accepted women as members. This area prospered during and after World War II as the population grew and wages increased. The population probably reached its maximum around 1950. I have seen reports that there were more than 300 black-owned businesses in the Tireman neighborhood in the years after the Second World War. I presume that this was also a heyday for the Nacirema Club. After the 1960s, this area’s population decreased in first the outer sections of the city and then the suburban ring became open to blacks. By 2010, this was a sparsely-populated, low-income area with many abandoned structures. The Census Bureau’s 2012 data release shows that the population of this area is 99.7% African Americans with a poverty rate of 56 percent. The median household income in this area was $18,500 compared to $52,200 for the Detroit metropolitan area. The Nacirema Club, however, continues to keep its doors open. National Register of Historic Places: Status unclear.